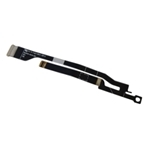 Description: New Acer replacement laptop lvds lcd video cable. For the models listed below there is more than one lcd cable. On this cable there are 2 bumps on the connection that connects to the screen. Please check to make sure that your cables connection to the motherboard matches the one in the pictures. If you have any questions about this please feel free to contact us. Part #'s: SM30HS-A016-001, 50.13B23.001, 50.13B23.007. 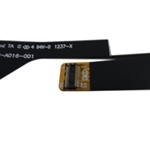 Acer Aspire S3-371, S3-391, S3-951.